Join us at NorthStar Tavern on Friday, April 26th for a White Pine Project IPA tap feature. Pints of White Pine Project IPA are only $4. 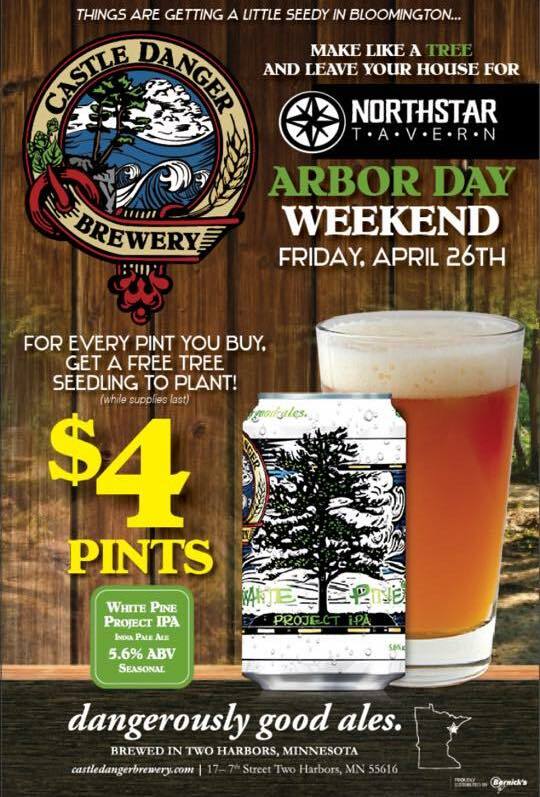 They will also be handing out white pine seedlings for every pint of white pine sold.